Self-gamification is the application of game design elements to one’s own life. 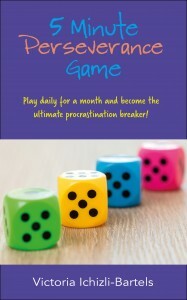 Self-gamification is a self-help approach showing you how to be playful and gameful. 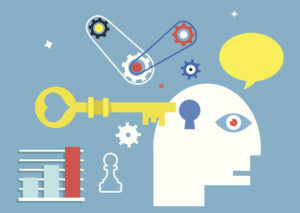 In self-gamification, you are both the designer AND the player of your games. My latest self-motivational game design I call “The Balance Game” got an adjustment. I now allow myself to have an ambition 😊👍, which is to finish writing my book on self-gamification as soon as possible (this spring). 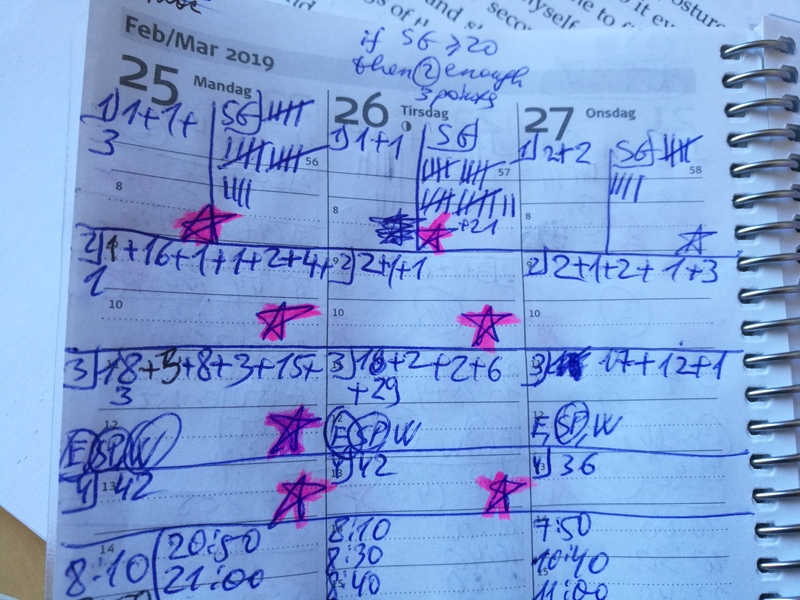 I record the points (1 point per 10 min spent on writing the book) in the little field marked with “SG” in the picture. 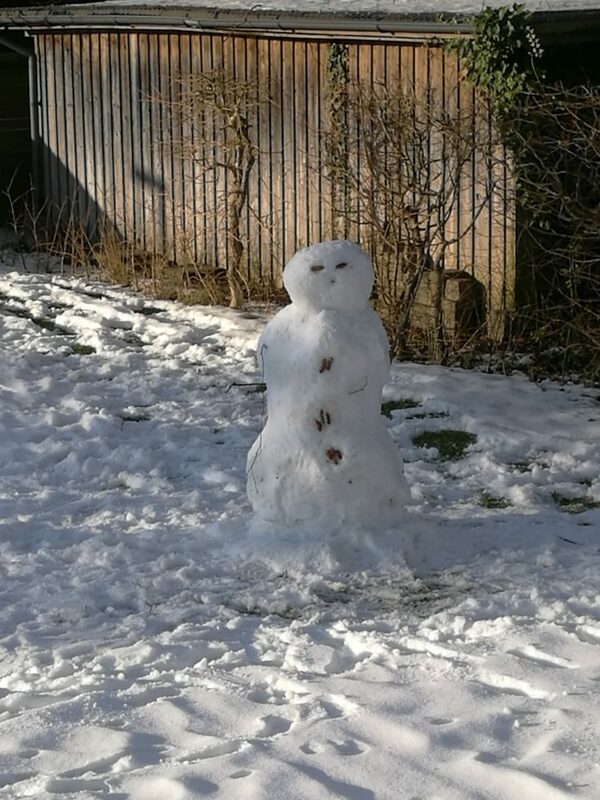 So this project got a priority and also an exception for weekends. I allow myself to be creative in this project in my free time too. Mobile, scraps of paper, and the computer are all used as soon as creative thoughts appear. P.S. If you would like to learn more about self-gamification and how you can turn your life into fun games, then check out the online video course Motivate Yourself by Turning Your Life into Fun Games. I start every chapter of my current work-in-progress, the book “The Self-Gamification Happiness Formula,” with an inspiring quote. 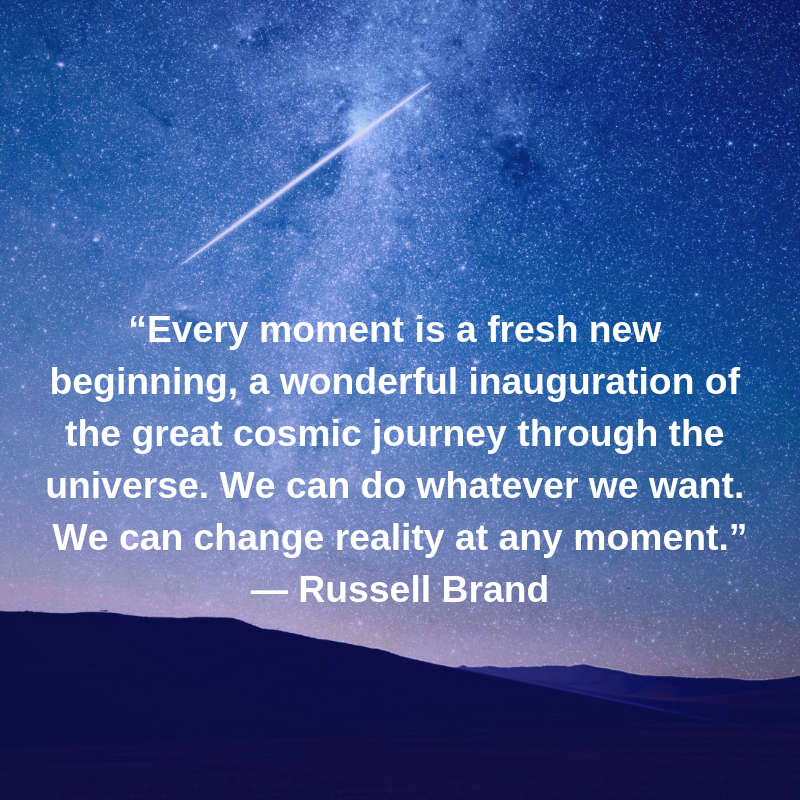 For the chapter “The Starting Point and the Next Step,” I searched for something that would sound like this: “Every moment is a new beginning” and found this beautiful quote by Russel Brand. I wish you many beautiful beginnings. P.S. If you would like to learn more about self-gamification and how you can turn your life into fun games, then check out th online video course Motivate Yourself by Turning Your Life into Fun Games. I read many story collections in my life. Many of them were very good and enjoyable to read. But there are only two I could name by their titles and which are the first to pop into my mind when speaking of inspiring stories. 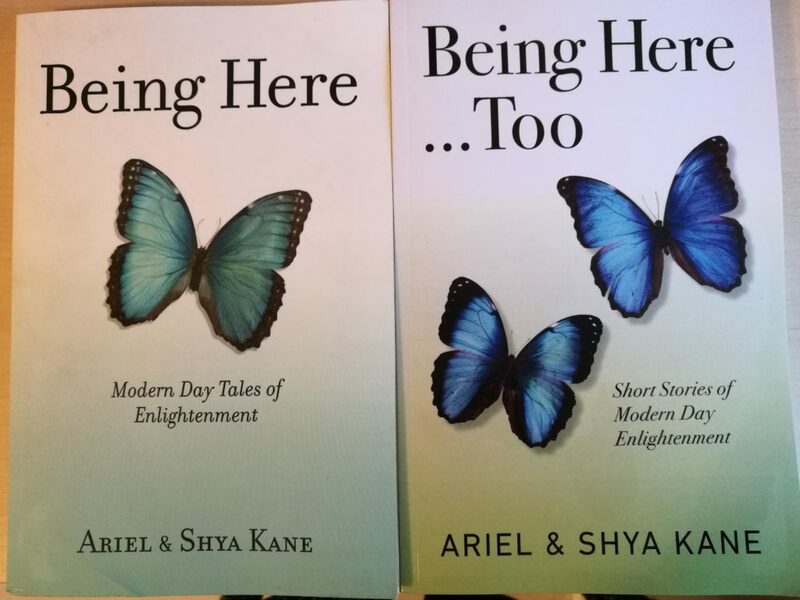 These are Being Here: Modern Day Tales of Enlightenment and Being Here…Too: Short Stories of Modern Day Enlightenment by Ariel & Shya Kane. In fact, reading of the first book ignited a turn in my life I have never thought would be possible. I might not have dared to write books or anything else as daring, have I not read that book and all other books by Ariel and Shya Kane, listened to their radio shows and participated in their live seminars. I first saw Being Here: Modern Day Tales of Enlightenment when an online retailer generated a recommendation based on my previous orders of self-help and motivational books. I read many self-help books before and still felt lost. So after buying and receiving Being Here: Modern Day Tales of Enlightenment, I resisted reading it for almost two years. But my sight kept being captured by the beautiful butterfly on its cover, and even by its spine when I tucked it between the other books on one of my bookshelves. At some point, I surrendered and read it. I learned about a unique approach called Instantaneous Transformation developed by Ariel and Shya Kane. And with time, I learned and experienced the three revealing principles of this approach. First, I realized that if I resisted something or tried to get rid of something – a thought, a habit, a person, a task, a book (see above 🙂 ) or anything else – I didn’t get rid of it at all. 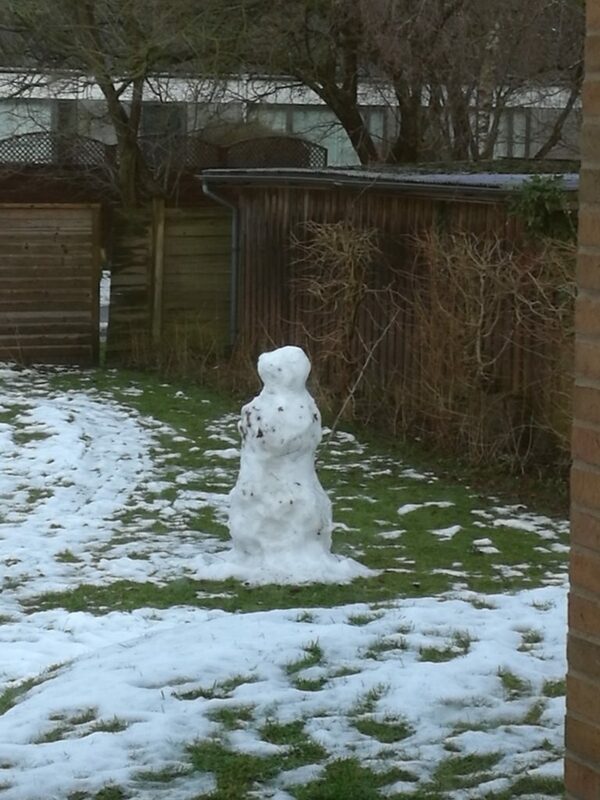 This person or thing just kept on sticking around, dominated my life and often became overwhelming. Then, I learned that I couldn’t be anywhere else or anyone else at any given moment – I could only be who and how I was (or wasn’t), whether I liked it or not. And whether I judged my situation or not. 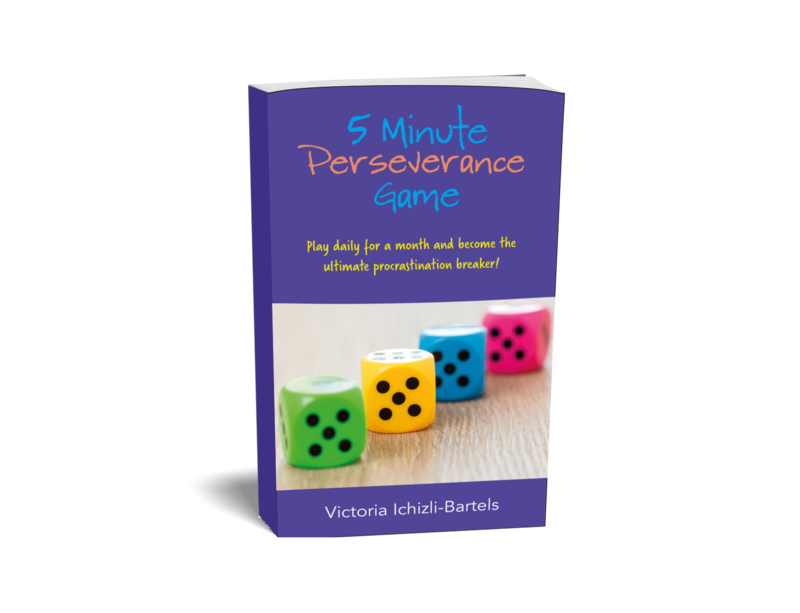 Finally, there was the Kanes’ third principle – anything that I allowed to be exactly as it was without judging or trying to change it, completed itself in an instant. As I read Ariel and Shya’s books and articles, listened to their Being Here internet radio show, and participated in their live seminars, I experienced what it meant to let myself and others be just as we were. I discovered how to breathe and savor my life moment by moment, completely and freely. I came to understand what I truly wanted, what was my heart’s desire. Yes, reading Being Here: Modern Day Tales of Enlightenment was the moment when this beautiful journey I am now on began. It was a journey of curiosity about what was happening at any given moment of now and what could happen if I surrendered to my wishes and did what my heart called me to do, instead of what I thought others wanted me to do. As I practiced transformation, being in the moment, I discovered again and again that kindness and honesty were mutually inclusive, not exclusive. That allowed me to start observing myself non-judgmentally, in my life and also in the process of writing, teaching, and consulting. I was delighted when I heard of the successor of one of my all time favorite books and of its concept. Being Here…Too: Short Stories of Modern Day Enlightenment is unique because the stories in it relate the magic of being here. These true stories were written by fantastic people of various walks of life, background and beliefs. I strongly recommend reading and re-reading both books. You will laugh, smile, feel inspired, uplifted, utterly well in yourself and discover each time some new aspect of every story, which you didn’t notice during the previous read. They are that multidimensional!